Aamir Khan and his son Azad were pictured at the Mumbai airport on Monday evening. A sleepy Azad was cradled in his father's arms while the father-son duo made their way to the entry. 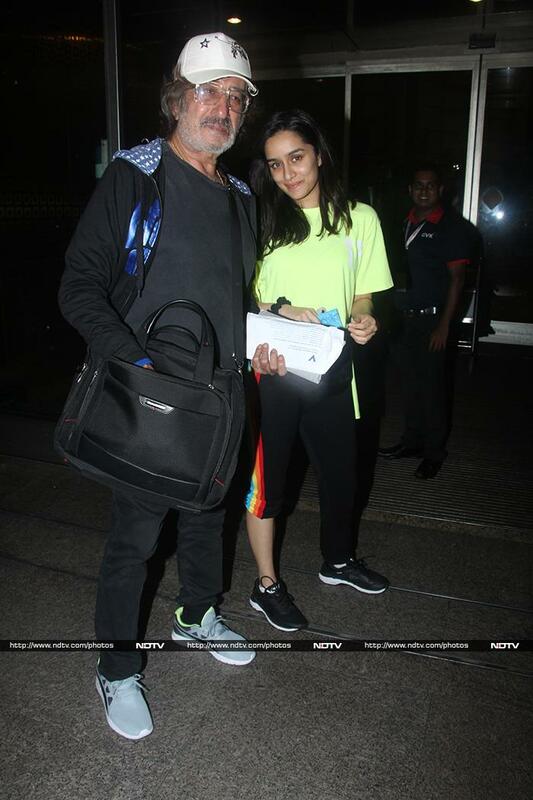 Shraddha Kapoor was accompanied by his dad Shakti Kapoor. That's a rare picture of Naina Bachchan with dad Ajitabh Bachchan. Kartik Aaryan, why so serious? Evelyn Sharma smiled for the cameras. 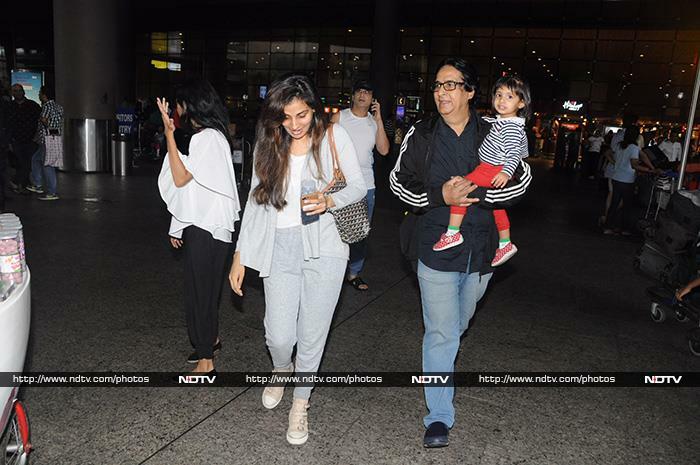 Sophie Choudry was also spotted at the airport.